Here you&apos;ll find various essays on scientific topics. Science is a systematic enterprise that builds and organizes knowledge in the form of testable explanations and predictions about the universe.In an older and closely related meaning, "science" also refers to this body of knowledge itself, of the type that can be rationally explained and reliably applied. Ever since classical antiquity, science as a type of knowledge has been closely linked to philosophy. In the West during the early modern period the words "science" and "philosophy of nature" were sometimes used interchangeably, and until the 19th century natural philosophy (which is today called "natural science") was considered a branch of philosophy. In modern usage "science" most often refers to a way of pursuing knowledge, not only the knowledge itself. In the 17th and 18th centuries scientists increasingly sought to formulate knowledge in terms of laws of nature. Over the course of the 19th century, the word "science" became increasingly associated with the scientific method itself, as a disciplined way to study the natural world, including physics, chemistry, geology and biology. It is in the 19th century also that the term scientist began to be applied to those who sought knowledge and understanding of nature. 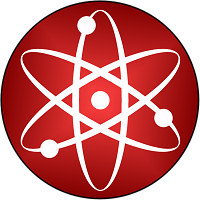 In this section of my site, you'll be able to read various essays I've written on scientific topics, as well as about science and scientific method. People aren&apos;t the only ones who make them, you know. Humans are not the only creatures on Earth that build bridges, but we are the only ones who build bridges intended for more than a single use. Bridges have become so ubiquitous in human culture that, in addition to being used as metaphors ("We&apos;ll build a bridge of love and kindness reaching to the other side" as Olivia Newton-John sang in "The River&apos;s Too Wide") they have spawned unique fears (gephyrophobia, the fear of bridges), a genre of photography and of course an engineering specialty. Is The Number of Earthquakes Increasing? Examining the evidence that the number of severe earthquakes has been increasing significantly over the past two decades. One of the terrific things about government science is the free availability of the information we&apos;ve paid through our taxes to gather. Thus the United States Geological Survey maintains the USGS earthquake site with all kinds of goodies for the earthquake aficionado ranging from real-time earthquake reporting to downloadable historical data. Recently I downloaded a list of all earthquakes above magnitude 3, that have occurred since 1900. What I found shook me up a bit (pun intended: we may as well laugh about it!). Let&apos;s examine the events that triggered the last set of ice ages during the Pleistocene epoch, and how they speak to today&apos;s climate change. A little over 1½ million years ago, when the continents of Earth had drifted to almost their present locations and the very first hominids (our oldest recognizable ancestors) had appeared, a group of bright stars called the Scorpius-Centaurus OB association, passed within 150 light-years of Earth. Although to us the sky appears to be the same night after night (with the exception of the locations of the Moon and planets), astronomers know this is not so. A handy guide for those who prefer to name their months after Native American traditions rather than those of the Vikings. As you know, the Earth takes a little more than 365 days to circle the sun. We judge this by the stars. For example, at sunset on any particular day, the handle of the Big Dipper will be in a certain position. Six months later, at sunset, the handle of the Dipper will be in the opposite position. A year from that starting point, the handle will have returned to its original position. Let&apos;s look at coal: Its formation, mining, uses, legends, and what odd artifacts have been found embedded in it. One might ask, why would people leave an idyllic life on the family farm and move to the city to work in a factory? Of course, today most people don&apos;t live in the country and so can&apos;t imagine anything more dreary than farm life. But remember, people love what they&apos;re used to. And British of the 1700s did not want to leave their farms. So Parliament, which was composed mostly of industrialists, passed laws that heavily taxed farms. Unable to pay their taxes, farmers were forced to leave their homes and went to the city to find work…which was conveniently to be had in the factories the industrialists owned. However, factories paid notoriously low wages. For a family to survive, everyone, even very young children, had to work. That, of course, meant no school. The family and its descendents were mere fodder for the machines. What really causes the tides, and no, it&apos;s not just the moon pulling on the water. When I was a teenager in Saint Augustine, Florida, I worked summers as a lifeguard. My favorite was Crescent Beach, between Saint Augustine Beach and Daytona. I liked it because I actually preferred a beach with hardly any people on it, and the people at Crescent Beach at that time were mostly folks who had rented condos or cottages along the beach. Many of these people were not accustomed to the beach or the ocean, and since I was a lifeguard, they would ask me questions. We have the same problem as the Wicked Witch of the West. Biblically speaking, nothing seems to piss God off more than members of the faithful who refuse to heed prophecies. For example, the prophet Jeremiah, who continued to warn his fellow Israelites that God would punish them if they didn&apos;t "turn away from their sins" until he was completely ignored, predicted that if they didn&apos;t heed his warnings, the Jews would be scattered from their homeland and persecuted. As you must know, the Jews continued to ignore Jeremiah and, sure enough, they were scattered from their homeland and persecuted. Repeatedly. When I joined the Navy back in the &apos;70s, I was directed toward a "rating" (job) of Electronics Technician, which more or less describes the folks who repair radar and radio. Towards this end, I studied electronics at the Navy &apos;A&apos; School in Great Lakes, Illinois; and, as I did so I discovered a rather odd mystery that took me decades to figure out. To appreciate this mystery, and its solution, one must have a rudimentary understanding of electronics. And I can give you enough of that, right here, right now. I promise it won&apos;t hurt.